President Gjorge Ivanov reiterated his position that the deal with Greece is 'harmful and defeating' for Macedonia, according to a statement released by his office Sunday. President Gjorge Ivanov was speaking to members of the Macedonian diaspora in Detroit on Saturday. He reiterated his position that the deal with Greece is ‘harmful and defeating’ for Macedonia, according to a statement released by his office Sunday. Macedonians will vote next weekend on a proposal to change the country’s name, ending a long-running dispute with neighbouring Greece, which sees the use of the term “Macedonia “ as a claim on its own province of the same name. 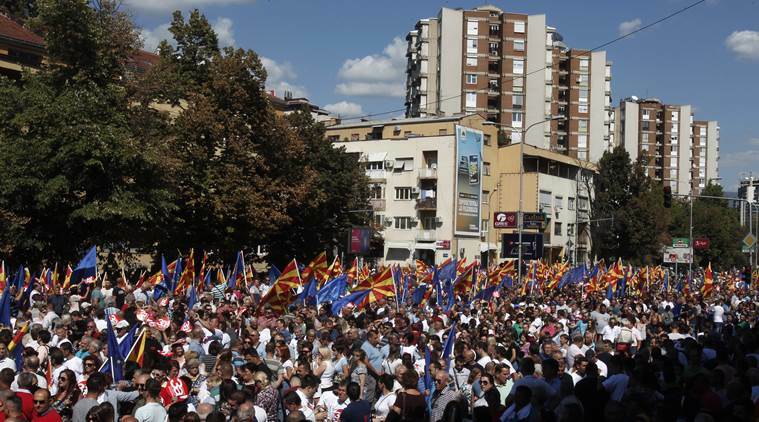 Polls indicate Macedonians will likely back the deal, but it remains unclear whether turnout will meet the required 50 per cent threshold for the vote to be valid.